Whether you have loose dental implants, gum disease, or some other form of periodontal disease, dental emergencies never seem to occur at a good time. A crown breaks off while you’re eating popcorn during a late-night movie. Your child chips a tooth jumping into the pool while on a family vacation. You experience pain and swelling in your gums over a holiday weekend. These types of things always happen at the most inconvenient time possible—after business hours, while away from home or during the holidays. It is always great to arrange a consultation appointment well in advance, but it isn’t always possible. If you find yourself googling “Periodontist near me”, there’s a better way. Just call our toll-free number at 1(888)420-6826, and you’ll be put in touch with a referral specialist who can get you the help you need. We’ll set up an appointment with a periodontist whose services you can afford, even if you have no insurance! Not sure what a “Periodontist near me” is or why you might need one? Read on! 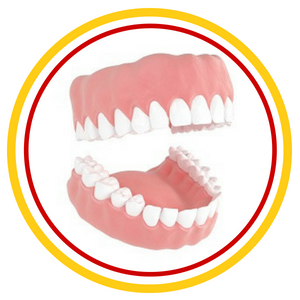 Injuries relating to your teeth and gums can happen anytime. Managing them can be quite nerve-wracking and scary but they don’t all require an immediate appointment. Some can wait until normal business hours. Knowing what kind of injuries need immediate attention can save you a lot of undue stress and maybe even an unnecessary trip to the emergency room. If you are experiencing the following symptoms, you should call a dentist (or a referral service like us) immediately. While it’s normal for children to lose teeth, it’s definitely not for adults. Adults typically lose teeth through trauma, infection or a number of chronic illnesses. Traumas, such as a slip-and-fall or sports accidents, are common. 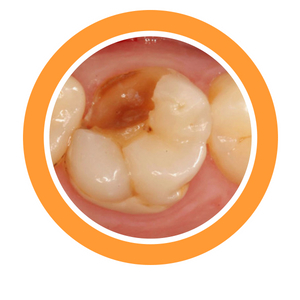 Infections can cause tooth loss by damaging the structures that stabilize the tooth. Certain cancers and chronic illnesses can damage bones and soft tissue that hold teeth in place. It’s important to have a cracked or chipped tooth immediately evaluated whether you’re experiencing pain or not. Bacteria can enter the tooth through these open areas causing infection. Cracked teeth are likely to break and additional damage is likely to occur. A severe toothache that includes throbbing and a fever is usually a sign of an infection. A dentist can determine whether that tooth needs to be removed or can be saved. Treatment often involves painkillers and antibiotics. Ordinarily, the teeth and gums have closed smooth surfaces. Some conditions such as ulcers, abscesses, and other diseases will damage these sensitive structures causing the gums to separate from teeth. An infection forms resulting in discharge from those areas. This discharge often has a foul odor and taste. Dental abscesses usually start as an internal pocket of infection and are noticeable as a small bump under the gum tissue. These bumps tend to be hard and about the size of a pea. Abscesses are commonly painful but not always. Without treatment, the infection can spread to your jaw. 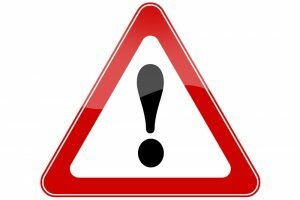 Again, if you are experiencing any of the symptoms above it’s important that you find a periodontist quickly. The sooner you can take care of your gums and mouth, the less at risk you will be for developing a more serious conditions. Our services can set you up with local periodontists and have you healthy in no time. Endodontists and periodontists are two types of dental specialists who focus on different parts of the mouth. A periodontist is someone that specializes in the treatment of gums and everything to do with them. If you suffer from gum disease a periodontist will be the dentist treating you. An endodontist, on the other hand, specializes in the interior tooth structure. If you ever have a severe tooth infection or need a root canal, an endodontist will be the one to best help you. These are the diseases and conditions that periodontists treat. If you know that you are suffering from one of these gum diseases or the symptoms of these diseases sound familiar, you should contact us right away so that we can help you find a local periodontist who can help with the following problems. “Peri” means around, and “dontal” (like “dental”) refers to teeth. Thus, periodontal disease is any disease that is around your teeth rather than in the bone itself. “Periodontal disease” is almost always a synonym for gum disease. If your gums are swollen and bleeding, or if they bleed when you brush and floss your teeth, it is a good sign that you are suffering from periodontal disease and that you need to seek the help of a local periodontist. This swelling is usually caused by some form of bacterial infection. Gingivitis is a very common form of periodontal disease that results in irritation, redness, and swelling of the gum area nearest to the base of your teeth. It can also result in bad breath and pain when you chew. Gingivitis is usually caused by not brushing, flossing, and cleaning your teeth often enough. Fortunately, gingivitis is fairly mild gum disease, so as long as you find a periodontist near me right as soon as you notice a problem you should feel right as rain in no time. Periodontists know how to reverse gum disease in a manner that is healthy and efficient. Periodontitis is a much more serious gum disease that occurs when a bacterial infection damages the soft tissue and bone that support your teeth. Periodontitis often causes your teeth to loosen or even completely fall out and is usually the result of poor dental hygiene. The symptoms of periodontitis are similar to the symptoms of gingivitis: swollen and puffy gums that have turned bright red and purple, gums that feel tender when touched, bad breath, frequent bleeding, loose teeth, and painful chewing. The difference is that gingivitis is usually localized to the part of the gum that’s touching the teeth, while the symptoms of periodontitis may cover the entire gum line. Periodontitis is a very serious infection and should be treated IMMEDIATELY by finding a periodontist near you. Aggressive periodontitis is a less common form of periodontitis that usually begins in childhood or early adulthood. The symptoms are identical to the symptoms of any other form of the disease, but they progress far more rapidly. It’s not long before patients with untreated aggressive periodontitis experience bone and tooth loss, which is why it’s so important to seek out a local periodontist immediately. Aggressive periodontitis may also be passed down hereditarily. If there’s a history of aggressive periodontitis in your family, make sure you’re keeping up with your dental hygiene care at home so that the infection cannot take root! 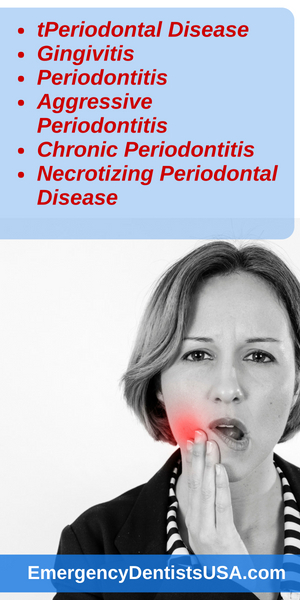 Chronic periodontitis is the most common form of the periodontitis gum disease. It mostly affects adults who have allowed plaque to build up in their mouth by infrequent or improper brushing and flossing. Chronic periodontitis is a slow deterioration that may improve on its own, but will then get worse again and will eventually cause gum destruction and loss of teeth if not treated. Necrotizing periodontal disease usually only occurs in patients who have a suppressed immune system from cancer treatment, an HIV infection, malnutrition, or other causes. The necrosis, or lack of proper blood flow, to the gums will mean that the body has no way to fight this severe infection and will result in the death of gum tissue, tooth ligaments, and supporting bone. Necrotizing periodontal disease is very painful and, like aggressive periodontitis, should be treated by your local periodontist as soon as humanly possible. What types of procedures does a periodontist specialist perform? These are a few different types of procedures a periodontist in your area may perform to help with gum disease. Some of the following procedures may be available at the office of your local dental practitioner, but many will require a specialist. Sometimes your gums will recede from your teeth, usually (but not exclusively) as a result of gingivitis. When this happens, the tooth will become too exposed. If left untreated it may even loosen to the point of falling out! Disgusting, unpleasant, and incredibly expensive to replace. 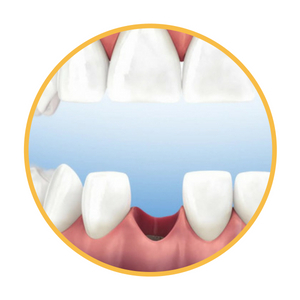 Fortunately, a gum graft surgery can help repair the gums before your teeth get to that level of damage. During gum graft surgery, your periodontist takes gum tissue – usually from your palate, but sometimes from another donor – to cover the exposed root. This procedure can prevent further gum recession and bone loss, reduce tooth sensitivity, and give you a more attractive smile. Your gums are supposed to fit tightly around your teeth, keeping them in place and protecting the most sensitive parts of the bone. However, periodontal diseases like those listed above will destroy the connection between gum tissue and bone. This can lead to air pockets developing in the teeth and gums, which are very painful and will lead to the need for tooth extraction if not treated immediately. To treat this sort of damage, a local periodontist can perform one of three different types of regenerative procedures. In the first, the periodontist near me will place a thin membrane as a barrier below the gum line and over the grafting material. The membrane will leave enough space for healthy bone tissue to grow on its own. Alternately, a local periodontist can place a special protein product called “emdogain” on the affected pockets before the gum is repaired. This promotes the formation of acellular cementum on the tooth. In other words, it repairs the connection between tooth and gum. A high platelet concentration liquid can also be used to stimulate fast bone regrowth. When pockets develop in your teeth and gums (for the reasons discussed in the last section), pocket reduction surgery is another periodontal procedure that may help you. This type of surgery usually involves gently separating the gum line from the teeth, removing the tartar from the surface of a tooth root in order to make it as smooth as possible, and then administering an antimicrobial liquid to eliminate any bacteria that has infected the area. The gum is then sewn back up with tiny stitches that dissolve in a couple of weeks. Pocket reduction procedures are necessary to reduce the spread of infectious bacteria, but they can also be used to halt bone loss, make it easier for you to clean your own teeth at home, and enhance the beauty of a person’s smile. If you lose a tooth because of periodontal disease, a periodontal specialist near you may still be able to help by using dental implants. Dental implants are synthetic tooth roots that are placed in your jaw to hold a replacement tooth or bridge, and are often used to help those who have lost a tooth to gum disease or for any other reason. If you find yourself in need of a new tooth after an old one was lost, broken, or extracted, consider finding a periodontist in your area and contacting them about a dental implant today! In addition to tooth-saving medical surgeries, most periodontists are also capable of performing cosmetic surgeries. These can include reducing or extending the gum line, smoothing an uneven gum line, using gum graft surgery to cover exposed roots, and fixing indentations in the gum and jawbone. If you’re not happy with your smile, a periodontist near you may be able to help! 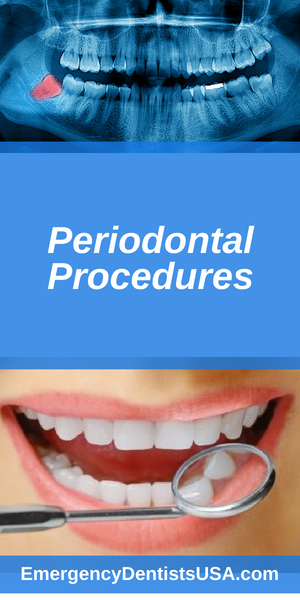 How do you find periodontal treatment? Trying to take care of a dental emergency can feel as stressful as the injury itself. It usually involves making lots of calls only to find out that the location is closed or that you should have contacted someone else. But it doesn’t have to be—we have a couple suggestions to help out your search. Referral services such as ourselves are companies whose sole purpose is to connect consumers with a business that provides whatever service they need. These companies often specialize in a particular industry such as emergency dentists or lawyers. Dental referral services maintain a large network of emergency dentists that can be reached immediately. Referral services like Emergency Dentists USA have already done the searching for you so that you only have to make a single call: 1(888)420-6826. These services have personnel available 24/7 to direct you to an appropriate treatment facility. Google is one of the first places people to when trying to find a business and it’s a decent resource for finding an emergency dentist if you know what keywords to use. Using phrases such as “periodontist near me” along with your current zip code will usually produce a few method. The drawback to this method, though, is that not all offices have a website optimized to come up first on search engines. You could easily miss a reputable option because the office doesn’t have a well-developed website. GPS apps or plug-ins such as Waze, Google Maps or Garmin generally include a built-in function that allows you to search for businesses based on your current physical location. You can usually click on an office’s flag after searching “periodontist near me” to bring up their contact information. These searches are especially helpful if you’re in an unfamiliar area because you simply expand or collapse the map to see your location in relation to the surrounding businesses. Unfortunately, the results aren’t filtered to show only those offices that are currently open or accepting your particular ailment. A gum specialist or periodontist will be able to help you schedule an appointment to receive periodontal care. Our directory is a great resource for finding a gum specialist dentist near you, as well. As you can see gum disease is a serious condition that should be dealt with as soon as possible. Be diligent in your search to find a gum specialist near you and never give up on your dental health. The difference between a dentist and a periodontist is that a dentist treats teeth and gums while periodontists specialize exclusively in gum disease. Diagnosing and treating gingivitis and periodontitis are the most common problems treated by periodontists. Dentists diagnose and treat injured and decaying teeth, gums and supporting bones. Periodontists diagnose and treat gum disease. Dentists clean teeth and provide routine checkups to their patients. Periodontists only deal with extreme, severe, or complex cases. Dentists can perform non-surgical gum disease treatments like cleaning, scaling, and root planing. Periodontists treat gum diseases surgically through gum grafts, guided tissue regeneration, flap surgery, pocket reduction surgery, and bone surgery. What you do prior to arriving at the periodontist near me is just as vital to the healing process as finding proper treatment. It could potentially mean the difference between saving your teeth and losing them. The following guidelines can help you manage the injury or illness, provide relief, and minimize complications. Stay calm. By staying calm you’ll be able to make more clear-headed decisions. You’ll also be better able to explain your situation to those around you. Wash your hands. Use warm water and soap to thoroughly wash your hands before handling broken pieces of teeth or touching the inside of your mouth. This is going to help prevent infection from starting or spreading. Use caution when handling teeth and their fragments. These pieces are often extremely fragile. Make sure to pick them up only by the crown, not by touching the root or any internal structures. There is no need to scrub them, though you can rinse them quickly with lukewarm water to remove dirt. Save all broken pieces of teeth. In many cases, it’s possible to re-implant a permanent tooth that has been knocked out, especially if it’s attempted within the first 30 minutes after injury. If possible, whole teeth should be reinserted into the socket they came from. You can bite down on a piece of gauze to keep it in place. If it’s not possible to reinsert the tooth then it needs to be kept moist and safe. This is achieved by storing it in a small container of saliva, between your cheek and gum, or in whole milk until you reach the dentist. Don’t use plain tap water because it quickly starts breaking down the tooth. A periodontist is a dental practitioner who specializes in the prevention, diagnosis, and treatment of gum disease. Periodontists are also experts in the structures that support the teeth as well as plastic surgery involving the inside of the mouth. Periodontists use various techniques to remodel or regenerate tissue and bone and know how to reverse gum disease better than most dentists. What should I expect from a periodontist appointment? The periodontist near me starts by checking for bone loss, loose teeth, bite strength, oral cancer, and signs of periodontal disease. Even if you have a pretty good idea of why you’re seeing the doctor, the periodontist will want to make sure that there are no other gum or tooth issues that they should take care of all at once. If they determine that you need surgery or gum repair, our descriptions of the procedures above should give you a good idea of what to expect. The periodontal specialist will be as gentle as possible and will carry out the examination with little or no discomfort. How much do periodontists charge? The cost of seeing a local periodontist will vary quite a bit depending on what sort of procedure you need. Treatments for periodontal disease and gum disease will often cost between $500 and $10,000 depending on the number of teeth affected, their location, and the amount of damage that needs to be repaired. Yet another reason that it’s important to see the periodontist as soon as you start seeing symptoms! Insurance often covers periodontal surgery, but if you go through Emergency Dentist USA we can find you a periodontist near you who is willing to work for patients who have no insurance. Reasonable low-to-no-interest payment plans are available for those who need them! Do I need a referral to see a periodontist in my area? A general dentist or hygienist may referral you to a periodontist near you if they find signs or symptoms of periodontal disease. However, you may decide to see a periodontist on your own as a referral is not necessary. Can you reverse periodontal disease? Mild forms of periodontal disease such as gingivitis can usually be reversed. However, more severe forms cannot. They are treatable and more importantly preventable by visiting a dentist and hygienist regularly for exams and cleanings. Does periodontal disease go away? Periodontal disease requires professional treatment to go away. Mild cases may be reversed with regular dental cleanings but it’s important that you visit a periodontist. A more severe case of periodontal disease may require dental surgery for treatment. There are treatments available for periodontitis. These include nonsurgical treatments such as scaling, root planing, and antibiotics. If your periodontitis is more severe, surgery may be necessary. Periodontal diseases such as gingivitis and periodontitis are caused by bacteria that gets under the gums, causing them to swell outward in potentially dangerous ways. This sort of bacteria is not airborne and periodontal disease is therefore not considered contagious. However, the bacteria that causes periodontal disease can be spread through the exchange of saliva, so you should not share silverware, toothbrushes, or kisses with any family member who appears to have swollen gums. If you think that a friend or relative may have a periodontal disease of some kind, be sure to tell them to search for a periodontal specialist near them! We hope that this article has helped ease some of your fears about going to the periodontist and has helped you in your search for a “periodontist near me.” Remember: dental care may sometimes be expensive or very slightly painful, but it’s nothing compared to the financial and physical cost of letting disease run rampant in your mouth. If you think you might see symptoms of periodontal disease, don’t hesitate to find help! See a Top Local Periodontist - Click to Call Now!